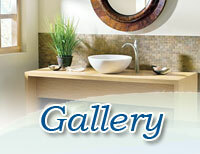 Beautiful Baths | Remodeling Made Easy! 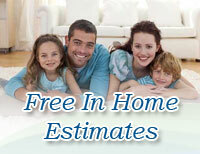 Click here to arrange an installed estimate. 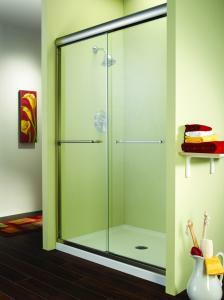 It is crystal clear, these new doors seduce with their pure, simple and clean look that lets the light flow in. 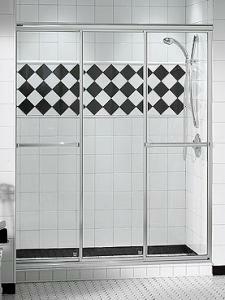 Perfect fit - MAAX adjustable shower and tub shower doors guarantee that your shower is securely mounted to your ceramic or acrylic walls and watertight. Watertight seal - MAAX shower doors are equipped with a number of parts and systems to ensure the optimal watertight performance of your shower door! 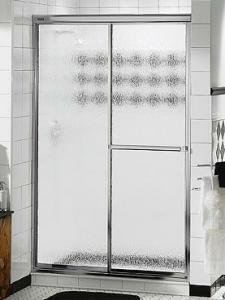 Enjoyment without the worry - The ball bearing roller system, Sure-Glide track system, and bottom door guide make operating your shower panels a snap. 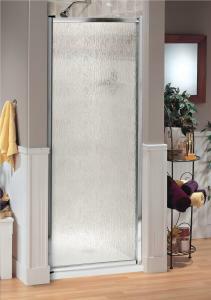 Frameless look - MAAX shower and tub shower doors are always designed to highlight the soft, pure lines of the glass. 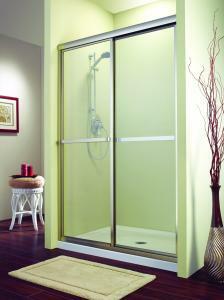 When walls are out-of-square, the Pivolok pivot hinge allows for perfect door adjustment to answer all needs. It comes in a wide variety of sizes. 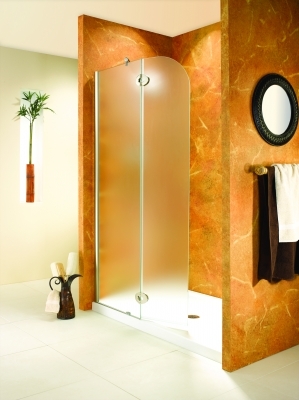 Perfect fit – MAAX adjustable shower and tub shower doors guarantee that your shower is securely mounted to your ceramic or acrylic walls and watertight. 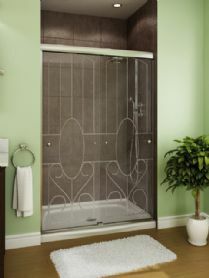 Watertight seal – MAAX shower doors are equipped with a number of parts and systems to ensure the optimal watertight performance of your shower door! 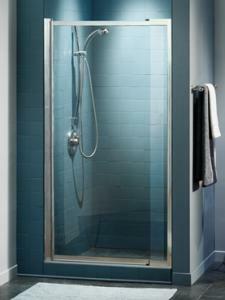 Enjoyment without the worry – The ball bearing roller system, Sure-Glide track system, and bottom door guide make operating your shower panels a snap. 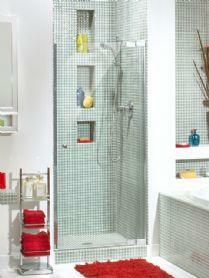 Frameless look – MAAX shower and tub shower doors are always designed to highlight the soft, pure lines of the glass. 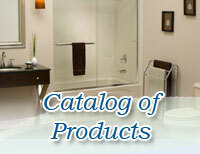 Created with fashion and function in mind, the Decor Plus series combines MAAX quality and simplicity of design. 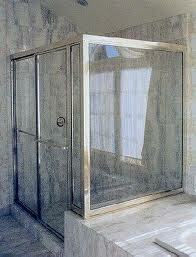 Beautiful Luxury Shower Glass Sliding doors with Luxseal. 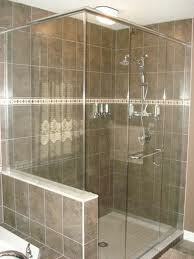 Fantastic, experienced ,knowledgeable, trustworthy installer. 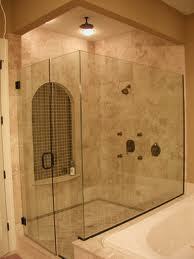 Whole renovation experience was great,excellent work, will not hesitate to recommend . R.Publicover. Eastern passage.Sept.2013. 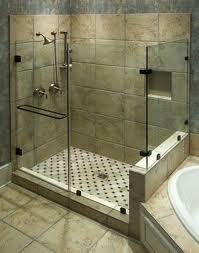 (Complete bathroom renovation involving tiling,new tub,customer shower,doors,faucets,vanity+counter top,toilet).